His first game is Superballs.io, a multiplayer pool shoot-out where you play as giant pool cues trying to sink balls --and opposing players-- for points before the clock runs out. 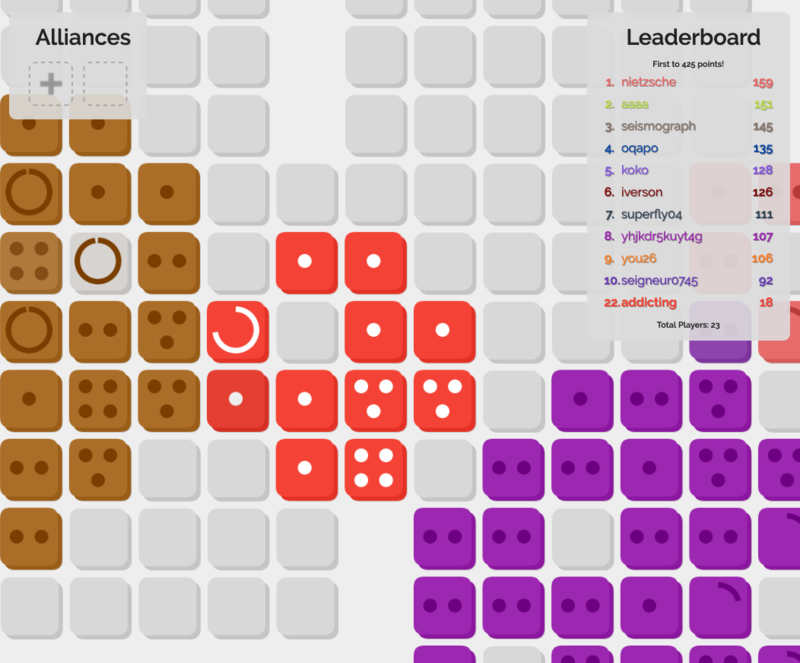 His other outing is an abstract area control game called dupl.io where you compete to conquer a grid by clicking the pips on a series of two-dimensional dice. In both games, Shaun uses few mechanics and sparse graphics to create elegant, original games with interesting choices that reward both timing and tactics. With Superballs, in particular, he re-purposes the overhead pool simulation mechanic that has been around as a video since the 1950s but re-imagines it as a full-contact sport on a procedurally generated map. It’s a pretty cool twist on an established premise. The kind of expectation subversion we like to see around here in our games. Proving once again that the IO games genre is flexible and open to interpretation. Because we like his games so much, we asked Shaun a few questions about his games, game design and the IO sphere in general. Part of why we started doing interviews with game designers is because a lot of our players are aspiring game designers themselves. What advice would you give to someone who wanted to make their first game? Everyone has great ideas but they’re meaningless without good execution so learn the skills you need to develop your ideas properly! That’s great advice. Now, if someone wanted to make games like yours, what would they need to learn? Just vanilla JS for browsers and Node.js for the server. For data persistence, they would need to know a bit about databases such as SQL/Mongo. So, that is how you do it but, why do you design games? It offers a different set of challenges and offers a quicker end product to conventional enterprise development. What about playtesting? You’ve done two games now, do you have a system? Play the games a bit ourselves or release features under a beta tag and give access to our players. Did you run into any problems while making these games? Superballs was the first ‘proper’ web application either of us made so it was quite a shift from traditional C# or Java applications. The main thing we learned that was different from our day jobs is how to optimize netcode to handle large numbers of concurrent players. Is this your full-time job or a side gig? IO games, in general, are very stark. And while your IO games don’t have a lot of art in them, they do have their own style. How important are aesthetics to you? Both our games are very minimal but use crisp vector graphics so we believe this fit the simpler nature of IO games. 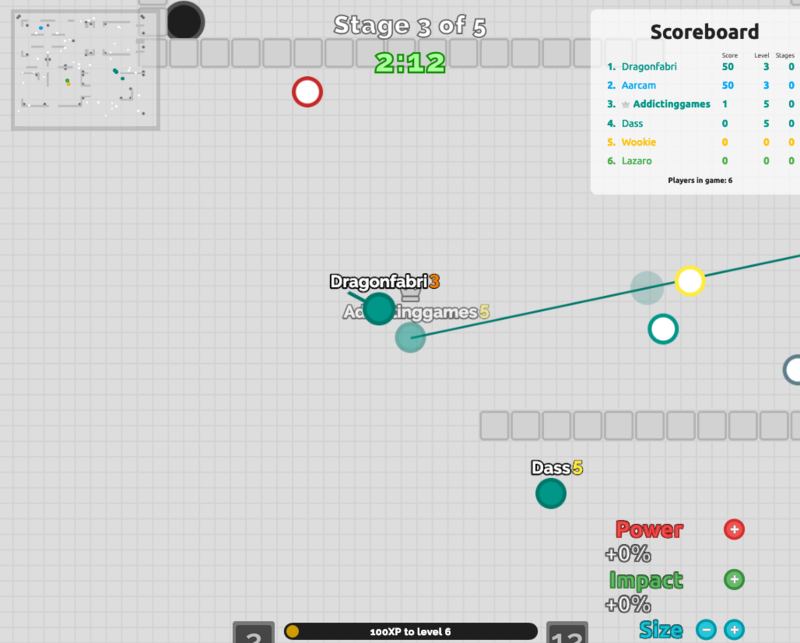 IO games as a format had a huge start a few years ago with agar.io and have been going strong ever since. Where do you see the IO gaming sphere going in the next few years? The brand “IO Game” will likely diminish its specificity and increase in size branching out to more genres. I think that we will also start to see games we would usually reserve for a desktop application move into the browser. Hexagor is great. Well, thanks for making such cool IO games and thanks for talking to us about them. Before we go, are you working on anything else? Awesome! The world needs more tank games. And, as we’ve said before: tank games will always be cool.